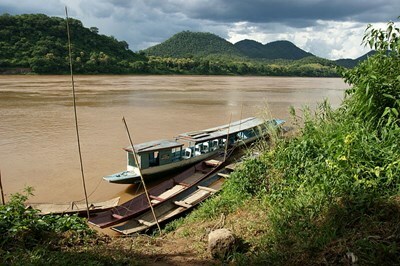 The Mekong is a river in Southeast Asia. It is the world's 12th-longest river and the 7th-longest in Asia. Its estimated length is 4,350 km (2,703 mi), and it drains an area of 795,000 km (307,000 sq mi), discharging 475 km (114 cu mi) of water annually From the Tibetan Plateau this river runs through China's Yunnan province, Burma, Laos, Thailand, Cambodia and Vietnam. This description uses material from the Wikipedia article on Mekong and is licensed under the Creative Commons Attribution-ShareAlike License (view authors). 9 people want to do this. 4 people have done this.